At Surfactis Technologies, we are in the process of developing a state-of-the-art superhydrophobic, resistant and translucent (but not transparent) coating that will be capable of imparting anti-soiling, self-cleaning, water-repellent and anti-icing properties to surfaces. Durability is a huge challenge as far as superhydrophobic surfaces are concerned. Over time, their performance can be impaired as a result of wind, sand abrasion, UV, humidity, temperature variations or corrosion. Human intervention can also trigger a decrease in performance through brush washing, high-pressure jet washing, detergents, solvents or oil contamination. 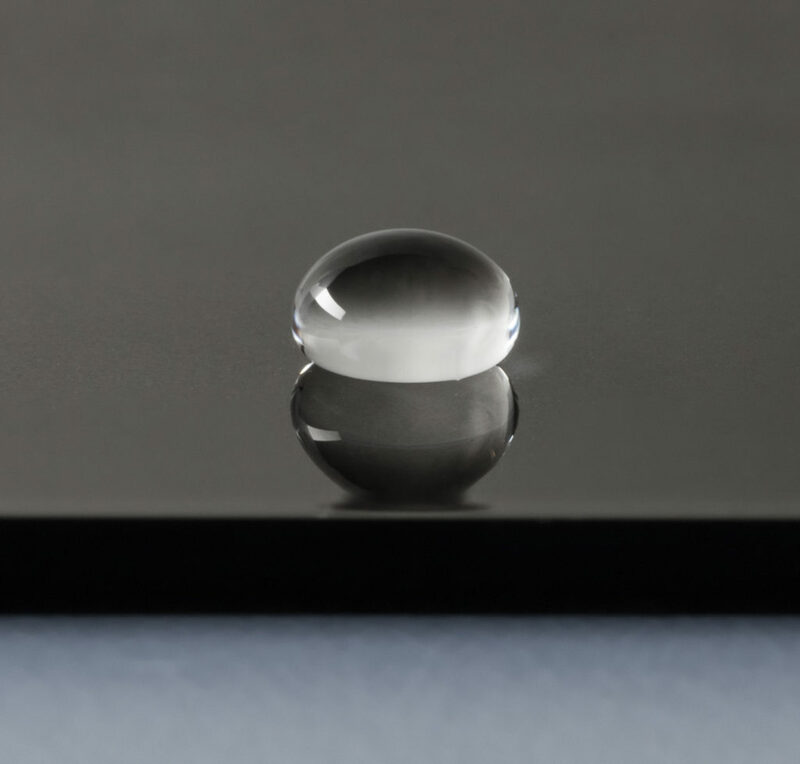 Today, the application of superhydrophobic coatings may have been widely adopted, but the products currently available on the market do not deliver satisfying results over the long term. Keen to address this issue, we have developed and synthesized a formulation of superhydrophobic agents that are capable of grafting sustainably to a wide range of materials. 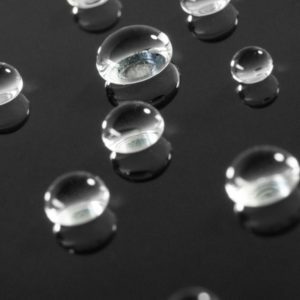 This type of coating will have numerous applications across a variety of domains in which superhydrophobic products are blazing a trail. In the building sector, for example, a superhydrophobic coating will offer a “hard to soil” and “easy to clean” solution for building materials (metal, stone, wood and concrete), minimizing the need for buildings to be cleaned. Numerous possible applications also exist within the energy sector. On wind turbines, a superhydrophobic coating can limit ice formation thereby protecting their aeraulic performance. 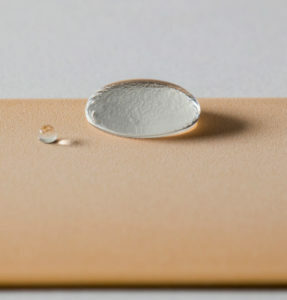 A superhydrophobic coating with anti-soiling properties can also minimize blade maintenance by offering protection against microorganisms, algae and fungi. the adhesion forces, which reduces the amount of ice that forms before becoming dislodged. In the rail industry, multiple contaminants can affect trains, including oil, dust and insects. In very harsh outdoor environments, a resistant superhydrophobic coating can help minimize soiling thereby cutting down on maintenance. During the winter, the undercarriages of trains frequently become iced up, causing damage to the side of the carriage or even the windows when ballast stones are thrown up by disrupted ice. A coating that boasts anti-ice properties coupled with high abrasion resistance could be of considerable help in addressing this issue. These outstanding superhydrophobic properties can also be extended to certain technical paints that support an additional topcoat. 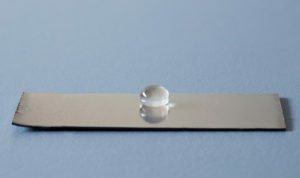 Our efforts to develop a fully resistant superhydrophobic coating are currently ongoing. Interested in receiving updates on our progress? Then simply fill in this form.